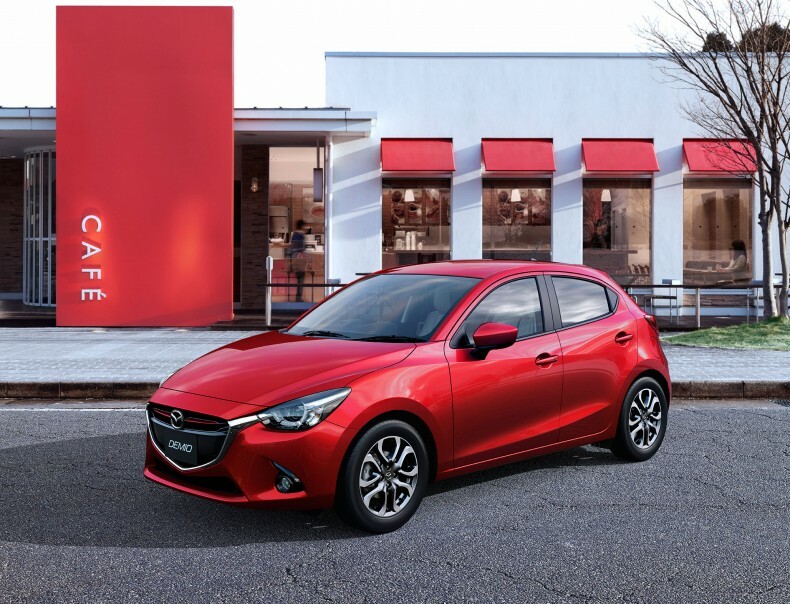 Mazda Motor Corporation unveiled the all-new Mazda2 (also known as “Demio”). Production of the fully redesigned model has begun at Mazda’s Hofu Plant No. 1 in Yamaguchi, Japan. Of course, it will adopt the full range of SKYACTIV Technology and KODO – Soul of Motion design. The all-new Mazda2 will be rolled out in global markets starting in Japan this autumn and will feature a wide range of cutting-edge technologies such as the Mazda Connect next-generation car connectivity system, and i-ACTIVSENSE advanced safety features that aid the driver in recognizing and responding to hazards. The all-new Mazda2 will be available in certain markets with the SKYACTIV-D 1.5, a new small-displacement clean diesel engine that offers excellent fuel economy and eco-performance while delivering torque comparable to a 2.5-litre gasoline engine. Along with next-generation high-efficiency direct-injection gasoline engines, the SKYACTIV-G 1.3 and SKYACTIV-G 1.5, the clean diesel engine will allow Mazda to offer an engine line-up tailored to the needs of each market. The Mazda2 will come to the Canadian market in 2015, and will get the SKYACTIV-G 1.5-litre gasoline engine. More on the all-new Mazda2 when it arrives to Canada next year.